Israel is a very close ally for the United States and this position enables Israel to share some of the most advanced U.S. technologies. Geopolitics of the Middle East region and very hostile neighbors (technically Israel has been at war with Syria for decades) dictates the country to pursue and sometimes pioneer missile defense strategies, especially in the defense against the short-range and medium-range ballistic missiles. Israel’s precarious geographic location make the need for missile defense a critical one. Israel is threatened by ballistic missile attacks from state and non-state actors. States hostile to Israel—such as Iran and Syria—pose an existential threat and have done so since Israel’s formation in 1948. However, non-state actors such as Hezbollah and Hamas have emerged recently to increase the risk of missile, mortar, and artillery strikes on Israeli territory. The main threat not only for Israel but also for the international community as a whole is proliferation of ballistic missiles, especially if accompanied with weapons of mass destruction. This is particularly true of Iran, which is trying to play a more important role in the region, in part by advancing its nuclear and ballistic missile capabilities. As a result, Israel has been one of the world’s loudest critics of the Joint Cooperative plan of Action (JCPOA). Israel is also widely believed to have dozens of nuclear warheads and intermediate-range (Jericho 2) and short-range (Jericho 1) ballistic missiles. 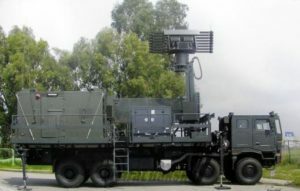 Israel has a number of Patriot batteries, along with an unknown number of MIM-23 Hawks, which are ground-based, mobile, medium-range air defense systems that defend against low and medium altitude airborne threats such as aircraft and missiles, as well as an unconfirmed number of Spyder and Spyder-MR, which are Surface-to-Air Python & Derby Air Defense Systems. 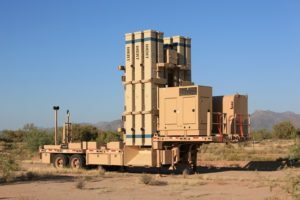 The systems are quick reaction, low level missile systems designed to successfully counter attacks by fixed and rotary wing aircraft, missiles and unmanned aerial vehicles (UAVs). they can launch both Derby medium range active radar seeker missile and Python 5 advanced dual waveband IR short range missile. 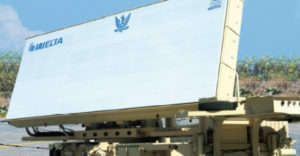 The Arrow system was Israel’s first missile defense system and was designed to counter short-range ballistic missiles. 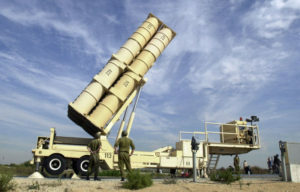 The Arrow Weapon System (AWS), developed by the United States and Israel, provides Israel the capability to defend itself against imminent and developing ballistic missile threats. In addition, it provides the US with critical data and technology for its missile defense programs. 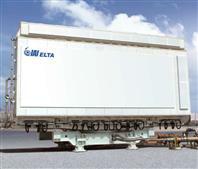 It consists of Arrow anti-missile interceptors, the Elta EL/M “Green Pine” early warning radar, the Elisra “Golden Citron” command and control center, and the Aerospace Industries “Brown Hazelnut” launch control center. Recently tested and soon to be deployed, David’s Sling makes up the middle tier of Israel’s layered BMD architecture and is designed to intercept short- and medium-range ballistic missiles in the terminal phase. 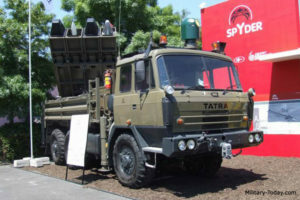 The system was co-developed by Israel’s Rafael Advanced Defense Systems and U.S. -based Raytheon. Using its two-stage Stunner interceptor and multi-mission radar, David’s Sling is employed as a flexible, multipurpose weapon system capable of engaging aircraft, cruise missiles, and ballistic missiles. Testing for David’s Sling began in 2014 and the BMD system underwent operational deployment in May of 2018. 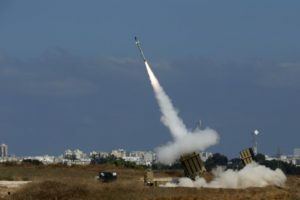 Israel’s current short-range anti-rocket system is called Iron Dome, which was independently developed by Israel and became operational in early 2011. The Iron Dome, a short-range anti-rocket system, has made headlines as one of the worlds best current missile defense systems. It defended Israel from rockets fired in an attack with artillery and short-range missiles in 2012. 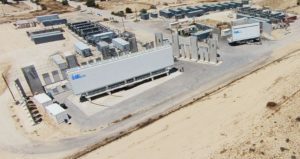 Between 2012 and 2014, Israel upgraded its tracking and firing mechanisms and expanded the number of batteries from five to nine. In that same year, Iron Dome intercepted 90% of short-range projectiles fired at Israel. Iron dome is as yet the only combat-tested missile defense system in Israel. 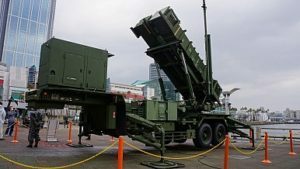 The U.S.-made Patriot missile is another defense interceptor that Israel has in their arsenal, in addition to the AN/TPY-2 radar. In addition, the sensors built to detect the actual missiles from the decoys have been improved as recently as 2012. 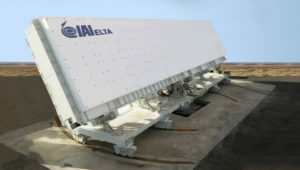 AN-TPY-2 X-band radar was currently deployed in Israel. Click here for more information on Iron Dome. 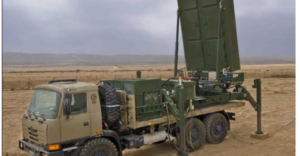 Israel has been working to establish a four-layer active defense network with the development of David’s Sling and Arrow 3, in addition to its already operational Arrow 2 and Iron Dome systems. In August 2008, Israel and the United States initiated the development of “David’s Sling” which is designed to counter short- and medium- range ballistic missiles, long-range rockets, and slower-flying cruise missiles, such as those possessed by Hezbollah in Lebanon. David’s Sling is expected to defend Israel against Scud B-class ballistic missiles, Syrian 302mm rockets, and Iranian half-ton warhead Fatah-110 rockets that are in the Lebanon-based Hezbollah’s stockpile. In December 2015, David’s Sling underwent its final tests and by mid-2016 it is expected the system will become operational. 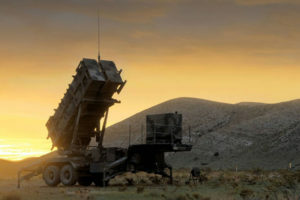 In 2007, Israel—with U.S. assistance—began production of the Arrow-3 missile defense system, which is designed to counter medium-range ballistic missiles. According to Israel, the development of the Arrow 3 Upper Tier Capability is to be accelerated in order to cope with the threat from Iran. Arrow 3 successfully carried out an interception test in December 2015.